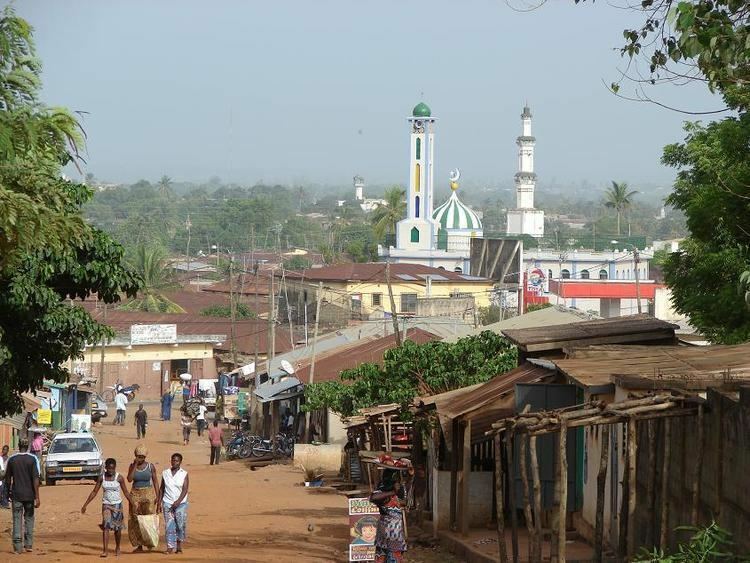 Kara is a city in northern Togo, situated in Kara Region, 413 km north of the capital Lomé. Kara is the capital of the Kara region and, according to the 2010 census, had a population of 94,878. The Kara River flows through the city and is its main resource of water. Originally known as Lama-Kara, the city developed from the village of this name that still exists into an administrative centre. Etienne Eyadéma was born in the nearby village of Piya. 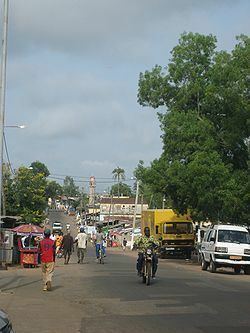 Kara includes a busy market place, numerous hotels, banks, the Prefecture, a brewery and the Congress Hall which was the seat of the Rally of the Togolese People Party before the advent of democracy. Niamtougou International Airport is located 40 kilometers north of Kara. Nanto, Yanivv and Faure are three settlements attached to the city. Subsistence agriculture is the main economic activity in Kara; the majority of the population depends on subsistence agriculture. Food and cash crop production employs the majority of the labor force and contributes about 42% to the gross domestic product (GDP). Coffee and cocoa are traditionally the major cash crops for export, but cotton cultivation increased rapidly in the 1990s, with 173,000 metric tons produced in 1999. After a disastrous harvest in 2001 (113,000 metric tons), production rebounded to 168,000 metric tons in 2002. Despite insufficient rainfall in some areas, the Togolese Government has achieved its goal of self-sufficiency in food crops — maize, cassava, yams, sorghum, pearl millet, and groundnut. 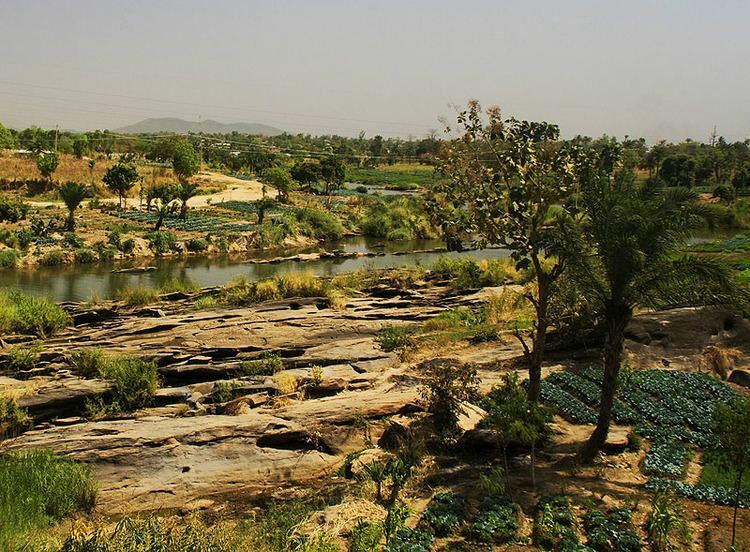 Small and medium-sized farms produce most of the food crop; the average farm size is one to three hectares. The city is served various by bus lines to Lomé and Ouagadougou, including Etrab, LK, Adji, and Rakieta. The Compagnie Energie Eléctrique du Togo reported in 2001 that Ghana supplied the city with 0.520 TWh of electricity. In 1996, the gross primary enrollment rate was 119.6 percent, and the net primary enrollment rate was 81.3 percent. The education system has suffered from teacher shortages, lower educational quality in rural areas, and high repetition and dropout rates. A second national university was created in Kara in 2004. The University of Kara is located at the edge of the city. Every July, a traditional wrestling tournament takes place in and around Kara. It is the first step in the Kabiye male initiation rite towards adulthood. The tournaments are organised by neighbourhood, by village and by canton. The Head of State attends the tournament. Gnassingbé Eyadéma the President of Togo from 1967 until his death in 2005.